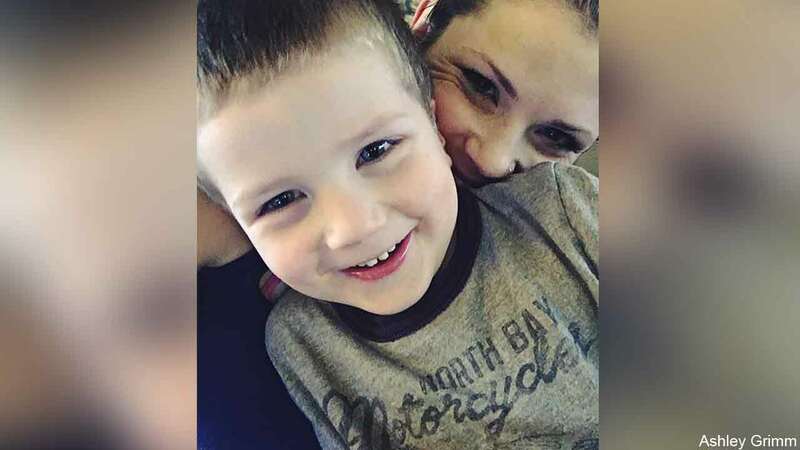 EMMETT, Idaho -- An Idaho mother urged parents to "hold your babies tight" in a heartbreaking Facebook post as she mourns the loss of her 4-year-old son. Ashley Grimm, 31, of Emmett, Idaho, wrote the message following a recent car accident that took the life of her little boy, Titus. 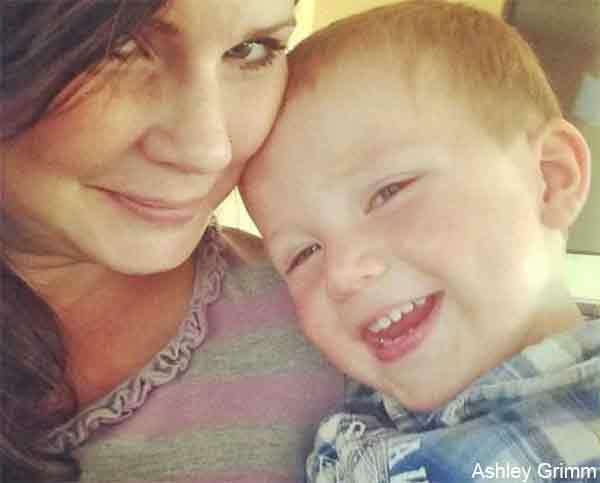 Ashley Grimm and her 4-year-old son Titus are seen in an undated photo. The mother of six posted the message to Facebook on July 15. Since then, it has been shared more than 400,000 times. "It was my way of journaling the lessons that I had been learning and pouring my heart out in a raw, transparent way," Grimm told ABC News. "I never dreamed that it would touch so many lives. I'm just a person and I lay in bed and cry. I'm not this superhero mom. People that have lost children, I want them to know that it's not out of the question, that they can [get through it]. It's one day at a time. Grimm and her husband Nick were taking their seven children to Garden Valley, Idaho, for a family reunion on June 2. Grimm drove the couple's truck with five kids in the back, while Nick took the couple's motor home with the two other kids. Grimm said a large rock rolled in her path while she was driving 45 mph. "It's a place that's notorious for falling rocks," she said. "It's a dangerous highway, but I saw the rock and I thought I could clear it. I was thinking, 'I'm going to straddle the rock,' but the rock hit my axle and it spun us straight to the side of the cliff." 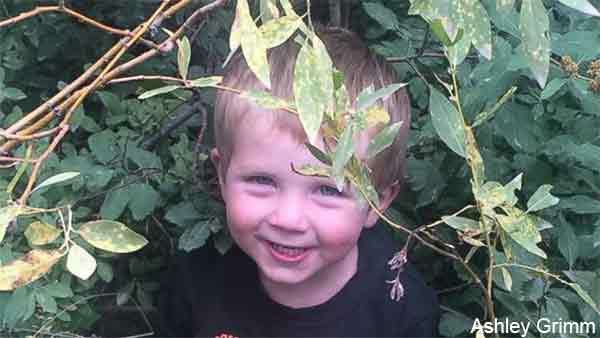 Titus Grimm, 4, is seen in an undated photo.